I’m not normally a huge fan of green, maybe I just want spring to get here, but on my desk alone I can see, the inside of my favorite mug is green, lots of green paper for note taking. I have pens and rulers that are both green, and a huge stack of green swatches staring me in the face. I’ve been knitting full steam ahead on this pile of swatches, but at least the end is in sight. You can see the blocked ones on the left and the unblocked pile on the right. 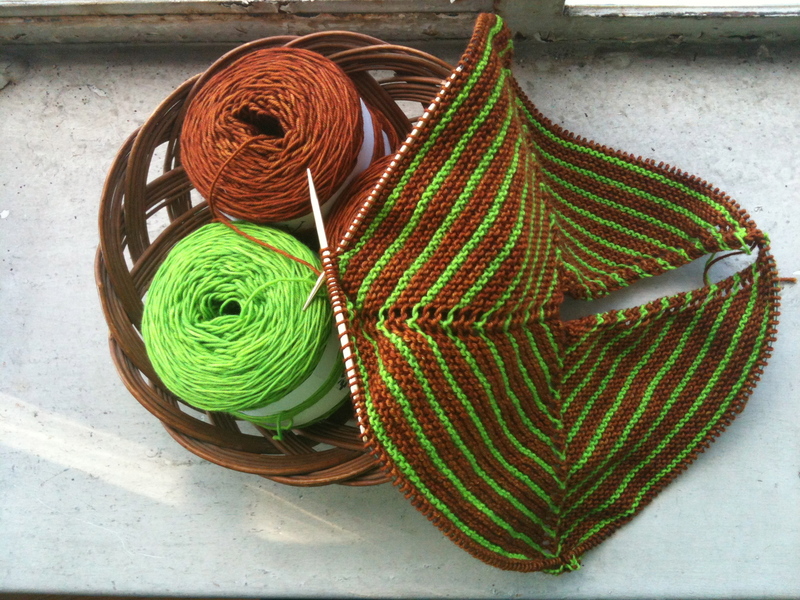 And my new shawl (with it’s super bright green stripes) is at the point where I’m going to start adding patterning. Yippie! hmm I think you must be a closet fan of green..! it’s my favorite color..
haha! Maybe, I’m usually a blues/purples person, but have been trying to branch out colorwise. Lovely projects! The combination in the shawl is gorgeous. WOW look at that green in the shawl! Beautiful. I love the contrast between the blocked and unblocked. Thanks! Blocking certainly works wonders. I love Green!! It’s my most favorite color. Is that redundant? Most favorite? 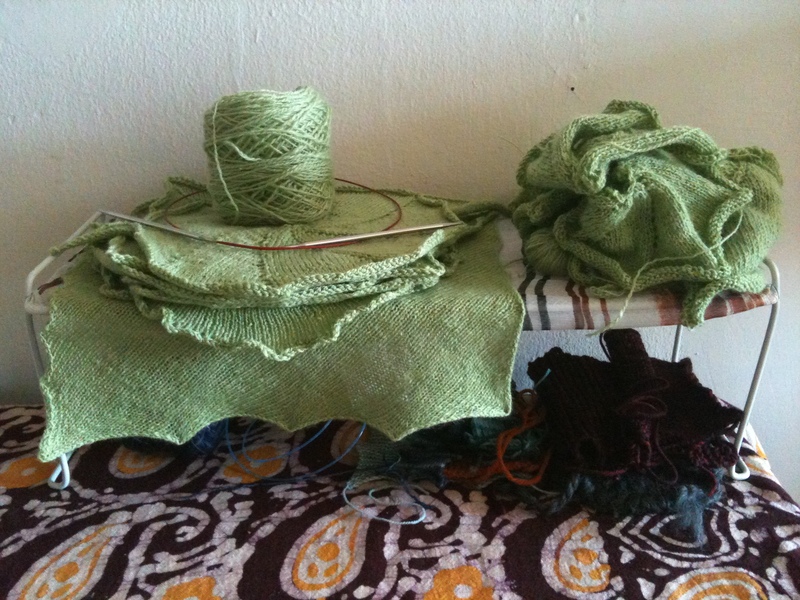 The shawl is going to be gorgeous….and green is the best color! Thanks! I’m really looking forward to focusing on it. Green is a great color, and all the share you have pictured are just lovely!